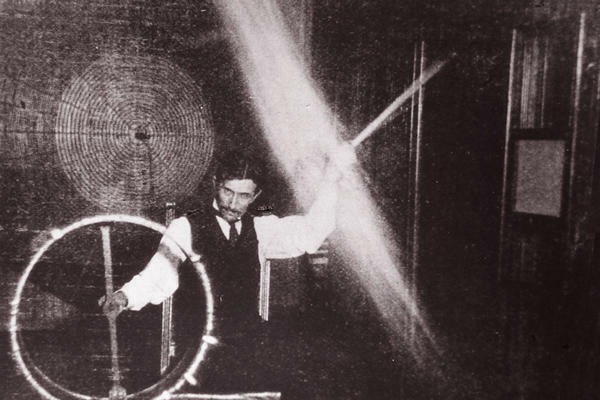 Tesla reads in front of the spiral coil of his high-frequency transformer at his lab on Houston Street in New York. In this photo from 1898, Tesla is sending 500,000 volts through his body to light the lightbulb as he spins it around above his head. In his time, Tesla was world famous. He was a wizard of electrical engineering. His power systems lit up the 1893 Chicago World's Fair. He's seen here circa 1895. Wardenclyffe, Tesla's lab on Long Island, was supposed to be his crowning achievement. Behind it, he wanted to build a 187-foot tower he could use to transmit messages and pictures wirelessly. Frank R. Paul drew this illustration of the tower, which was never completed. 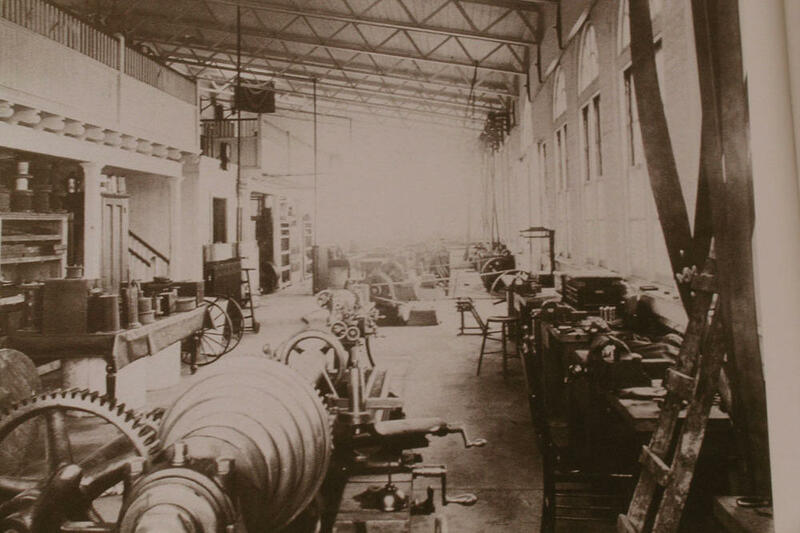 A view from inside the Wardenclyffe lab on Long Island in 1904. 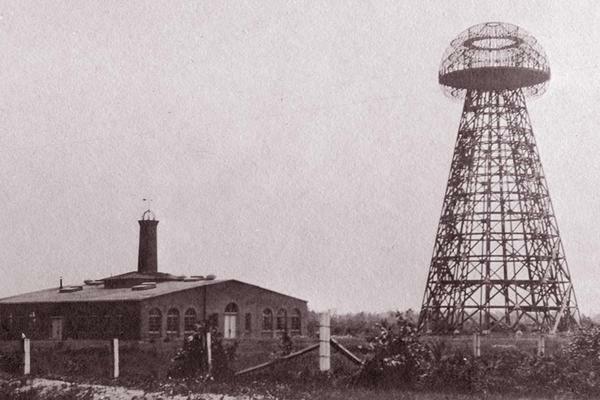 This 1904 photo of Wardenclyffe was taken so that Tesla could go back to J. P. Morgan to try and get the additional funds he needed to finish the tower. Today the Wardenclyffe site is derelict. So far, The Oatmeal has helped raise over $986,000 to save Tesla's lab, Wardenclyffe, on Long Island, N.Y.
Tesla's Wardenclyffe lab building, seen in 1904. Tesla wanted to deliver free, wireless power to everyone in the world. The only remaining laboratory of one of the greatest American inventors may soon be purchased so that it can be turned into a museum, thanks to an Internet campaign that raised nearly a million dollars in about a week. The lab was called Wardenclyffe, and it was built by Nikola Tesla, a wizard of electrical engineering whose power systems lit up the Chicago World's Fair in 1893 and harnessed the mighty Niagara Falls. "He is the developer of the alternating current system of electrical transmission that we use throughout the world today," says Jane Alcorn, president of a nonprofit group called The Tesla Science Center at Wardenclyffe, which wants to buy the site and preserve the lab by making it a museum. In his time, Tesla was world famous. But today, his name is kind of obscure. Alcorn, who is a retired teacher and librarian, says she had never heard of him until her neighbors in Shoreham, N.Y., on Long Island explained what the old industrial site was, just down the street. Tesla's old brick building is now behind a six-foot-high chain link fence topped with barbed wire. There's No Trespassing and For Sale signs. The windows are boarded up, and there are vines and weeds all around. "It looks lost and neglected," says Alcorn. "It looks abandoned. Its appearance right now is very derelict." 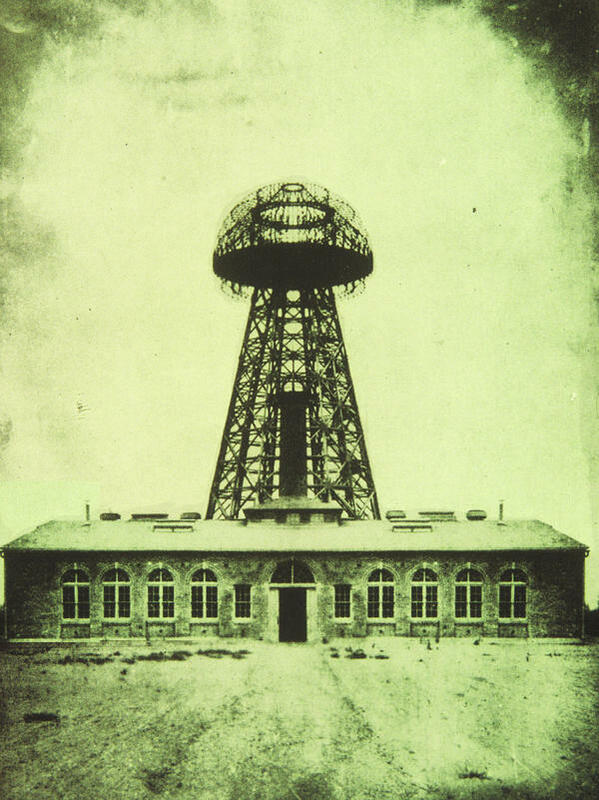 Wardenclyffe was supposed to be Tesla's crowning achievement. Behind the lab was a 180-foot tall tower that reportedly shot sparks into the night sky. "Tesla dreamed of having this site be a place where he could transmit messages and pictures wirelessly," explains Alcorn. "This is over a hundred years ago, something we're doing now but that he envisioned way back then." 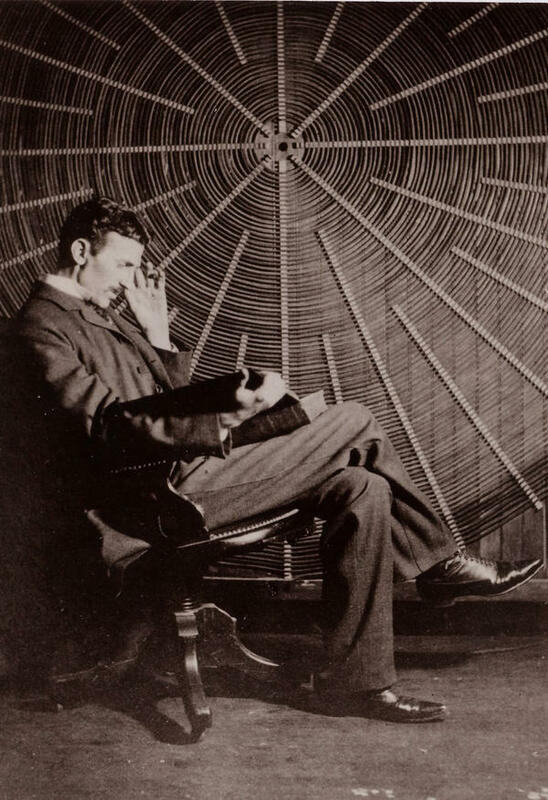 Tesla also hoped to wirelessly transmit electric power, free to everyone in the world. Tesla's downfall began when Guglielmo Marconi beat him in the race for wireless communication. Marconi sent the first radio signals across the Atlantic in 1901. Tesla's funding disappeared. The tower was torn down. Tesla lived out his last years as a recluse in a New York hotel, tending to pigeons and getting a reputation as a mad scientist. "I think, had he just invented the hydroelectric power system, we might have still known his name. But because he went on to get involved in wireless and lost in that race, his name disappeared from the history books," says Marc Seifer, author of the book Wizard: The Life and Times of Nikola Tesla. Wardenclyffe became a processing facility for a photography company and eventually, it turned into a Superfund hazardous waste site that took years to clean up. Sometimes Tesla fans would make a pilgrimage. Seifer says on his first visit, he snuck onto the property and got chased off. Alcorn says she's been hoping to acquire the site for a science museum for about 18 years. It's currently owned by Agfa Corporation, which is asking $1.6 million for the 16-acre parcel. Alcorn has worried that a developer might raze the lab to build retail space or condos. And a couple weeks ago, she heard that a potential buyer had emerged. She posted a message on her group's Facebook page, asking for help from anyone who could "send out the word to celebrities or people with deep pockets or anyone they thought might be able to give us assistance." Several Facebook contacts sent her SOS to an online cartoonist named Matthew Inman, also known as The Oatmeal. He'd published a comic about Tesla called "Why Nikola Tesla was The Greatest Geek Who Ever Lived." Inman agreed to help, and posted a funny but serious plea about Wardenclyffe on his popular website. "And within the first six hours, we had raised a quarter of a million dollars," says Alcorn. "Incredible." Alcorn and her friends were glued to their computers day and night, watching the numbers go up and up on a fundraising site. There's been over 20,000 contributors from more than a hundred countries. "They're everywhere! It's almost like an untapped underground of Tesla fanatics," says Alcorn. "I think it's absolutely outrageous and wonderful." In less than a week, The Tesla Science Center at Wardenclyffe reached its goal: over $850,000, enough to get a matching grant from the state of New York — which means Alcorn's group could meet the seller's asking price. On Thursday, Alcorn said she and her colleagues were talking with their lawyer about how to make an offer — something she wants to do soon. "It's clear from this crowdsourcing effort that there are a lot of people that are very serious about Tesla, and we hope his name becomes much more widely known in the years to come," adds the group's treasurer, Mary Daum. She says professionals like architects have also been writing to offer their pro bono services. And the money is still coming in. Alcorn says additional funds will be used to start the work of turning the ruins into a science center, and perhaps building an on-site replica of the tower that once stood for Tesla's dream. Next, we have the story of a dead inventor, an online cartoonist, and a librarian who is seeing her dream come true. The inventor once pursued a bold vision on Long Island, New York, but his lab is now a shambles. For years, a local group has wanted to turn that lab into a museum, but has not had much luck raising money. 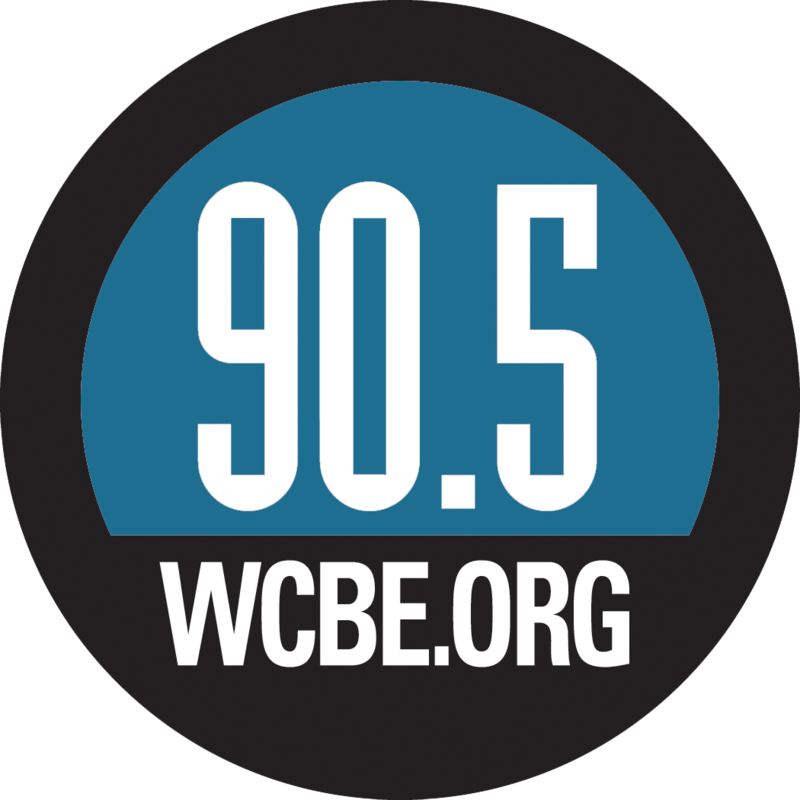 NPR's Nell Greenfieldboyce reports that this week everything changed. 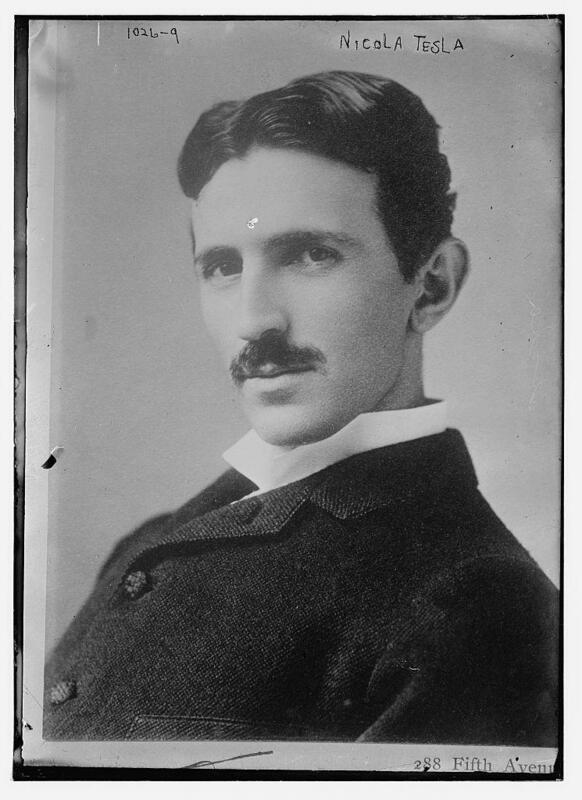 NELL GREENFIELDBOYCE, BYLINE: One of the greatest American inventors ever was Nikola Tesla. Today he's kind of obscure, but during his time, he was world famous for thrilling feats of electrical engineering. Lighting up the Chicago World's Fair in 1893, harnessing the mighty Niagara Falls for electric power. JANE ALCORN: He is the developer of the alternating current system of electrical transmission that we use throughout the world today. GREENFIELDBOYCE: Jane Alcorn is a retired teacher and librarian. Like many people, she'd never heard of Tesla until her neighbors told her she was living right down the street from Wardenclyffe, the only Tesla lab that still exists. It's in Shoreham on Long Island, behind a six-foot-high chain-link fence topped with barbed wire. Earlier this week, Alcorn looked past the no trespassing and for sale signs to see the brick building. It's windows are boarded up, there's vines and weeds all around. ALCORN: It looks lost and neglected. It looks abandoned. Its appearance right now is very derelict. 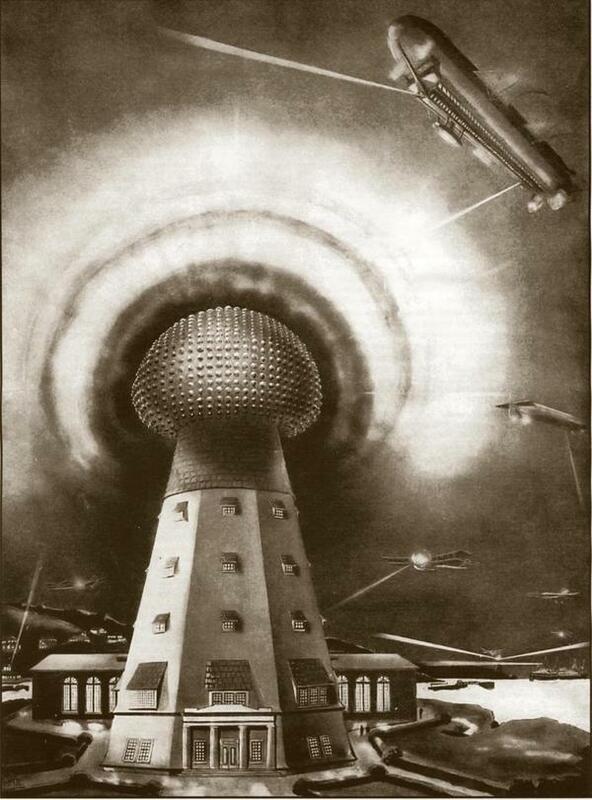 GREENFIELDBOYCE: Wardenclyffe was going to be Tesla's crowning achievement. Behind the lab was a tower over 180 feet tall that reportedly shot sparks into the night sky. ALCORN: Tesla dreamed of having this site be a place where he could transmit messages and pictures wirelessly. This is over a hundred years ago, something we're doing now but that he envisioned way back then. GREENFIELDBOYCE: Tesla's downfall began when Guglielmo Marconi beat him in the race for wireless communication. Marconi sent the first radio signals across the Atlantic and Tesla's funding disappeared. The tower was torn down. Tesla lived out his last years as a recluse in New York hotel, tending to pigeons and getting a reputation as a mad scientist. Wardenclyffe became a processing facility for a photography company. Eventually, it turned into a Superfund hazardous waste site that took years to clean up. Sometimes Tesla fans would make a pilgrimage, like Marc Seifer, who wrote a book called "Wizard: The Life and Times of Nikola Tesla. MARC SEIFER, AUTHOR: The first time I was there, I snuck on the property and my heart was beating rapidly because there I was, you know, touching the laboratory, and this man came running out the building and said, get off the property, get off the property. And I said, but - but it's Tesla's property. It's - don't you - get off. GREENFIELDBOYCE: He'd love to see it turned into a Tesla museum. That's been Jane Alcorn's dream for about 18 years. She heads a non-profit that hopes to buy the site. The problem has been money. Wardenclyffe has been on the market for over three years. The asking price is $1.6 million. Alcorn worries that a developer might raze the lab to build retail space or condos. A couple weeks ago, she heard that a potential buyer had emerged and she thought, oh, no. ALCORN: I posted on our Facebook page that we needed help from whomever could send out the word to celebrities or people with deep pockets or anyone they thought might be able to give us assistance. GREENFIELDBOYCE: Several Facebook contacts sent her SOS to an online cartoonist named Matthew Inman, also known as The Oatmeal. 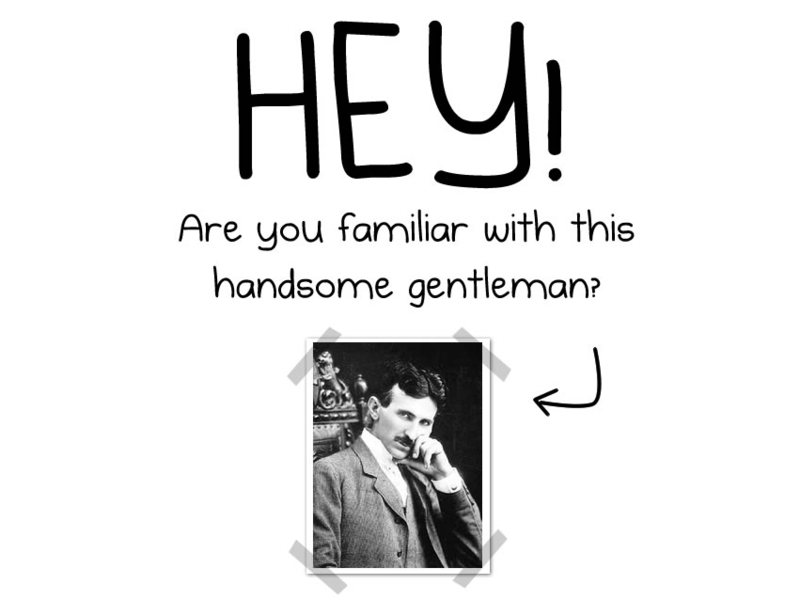 He published a comic about Tesla, declaring him the greatest geek who ever lived. Inman agreed to help, and posted a funny-but-serious plea on his popular website. ALCORN: And within the first six hours we had raised a quarter of a million dollars. Incredible. GREENFIELDBOYCE: Alcorn and her friends were glued to their computers night and day watching the numbers go up and up on a fundraising site. There's been over 20,000 contributors from more than a hundred countries. ALCORN: They're everywhere. It's almost like an untapped underground of Tesla fanatics, and I think it's absolutely outrageous and wonderful. GREENFIELDBOYCE: In less than a week they reached their goal, over $850,000. Enough to get a matching grant from the state of New York, which means they could meet the seller's asking price. Yesterday, Alcorn said her group was talking with their lawyer about how to make an offer. Nell Greenfieldboyce, NPR News. Transcript provided by NPR, Copyright NPR.